Members of the River Road Recipes cookbook committee will be on hand sharing cookbook knowledge and offering samples of some of our favorite recipes from the River Road Recipes selections Sunday, April 8, 2018 at the Pop-Up Farmers Market at Alexander’s Highland Market. Come join us from 10:00 am until 2:00 pm. Alexander’s is located at 18111 Highland Market Drive, Baton Rouge, Louisiana. All 4 of our cookbooks will also be available for sale! Members of the River Road Recipes Cookbook Committee will be on hand from 8am-12pm this Saturday sharing cookbook knowledge, offering samples and selling all 4 of our beloved books. The weather is supposed to be gorgeous this weekend and the Red Stick Farmers Market is a wonderful way to grab a cookbook along with some fresh ingredients to whip up something special for dinner later that evening! We hope to see you Saturday! Be sure to stop by our booth and say hello. Keep reading for our featured sample, Cheese Straws. Mark your calendars for Saturday, Oct. 28, when the 2017 Louisiana Book Festival comes to town! The festival features local authors, their publications, and lots of fun for the whole family. 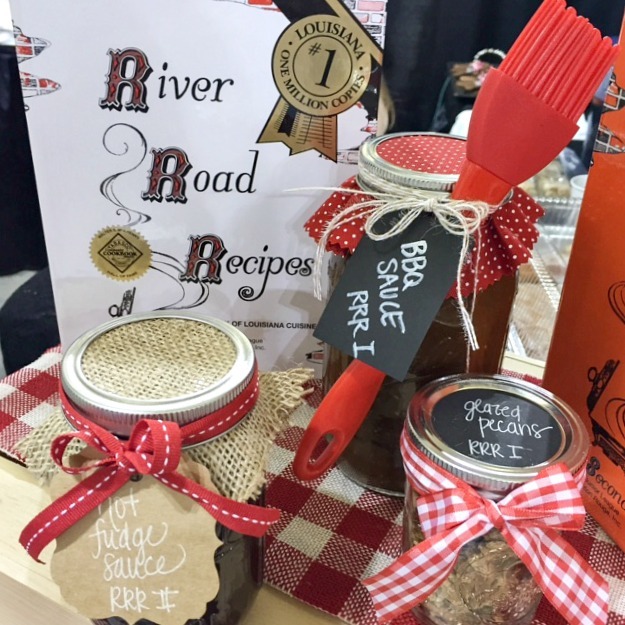 Stop by our River Roads Recipes booth for a sneak peek at the newly reprinted River Road Recipes III and get an early start on your holiday shopping. You will also be able to sample our Cheese Straws and Harvest Festival Muffins! Whether you’re young or old, enjoy puzzling over a good mystery, have a thirst for history, can’t get enough of poetry or love to cook up some great Louisiana dishes, our national award winning event has something for every book lover. The Louisiana Book Festival is your chance to meet exceptional writers while enjoying book-related activities and presentations. While Mardi Gras is sadly over, all is not doom and gloom. St. Patrick’s Day is just around the corner, and River Road Recipes knows the perfect way to help you celebrate! Baton Rouge’s annual Wearin’ of the Green Parade is an event that rivals any Mardi Gras parade here in town. This year, the parade rolls on Saturday, March 18, 2017 at 10 am, rain or shine! You can find out more details and see the parade route here. Enjoying the 2016 Wearin’ of the Green Parade. Image from The Parade Group LLC at http://www.paradegroup.com/galleries/160. After enjoying a morning at the parade, let the festivities continue with traditional Irish fare: Shepherd’s Pie, Cabbage (Cabbage Salad, RRR IV, p. 275), Corned Beef, Reuben Sandwiches (check out our mini-Reubens in RRR II, p. 15), or anything with potatoes, of course (our Potatoes Supreme recipe in RRR III, p. 118 is a healthier take on a favorite comfort food)! Want more ideas? Check out these 50 Traditional Irish-Inspired Dinners from the Delish blog! Finish off your meal with an Irish Coffee from River Road Recipes II. Image from Eat Well 101 at http://www.eatwell101.com. Add to each pre-warmed glass sugar and Irish whiskey. Fill glasses with strong, hot coffee, and top with whipped cream. Pro-tip: Use shamrock cutouts and cocoa powder to add the perfect, festive touch to the whipped cream! Happy St. Patrick’s Day from all of us at River Road Recipes! Join us this Saturday, March 4th from 8:00am until noon at the Red Stick Farmer’s Market! 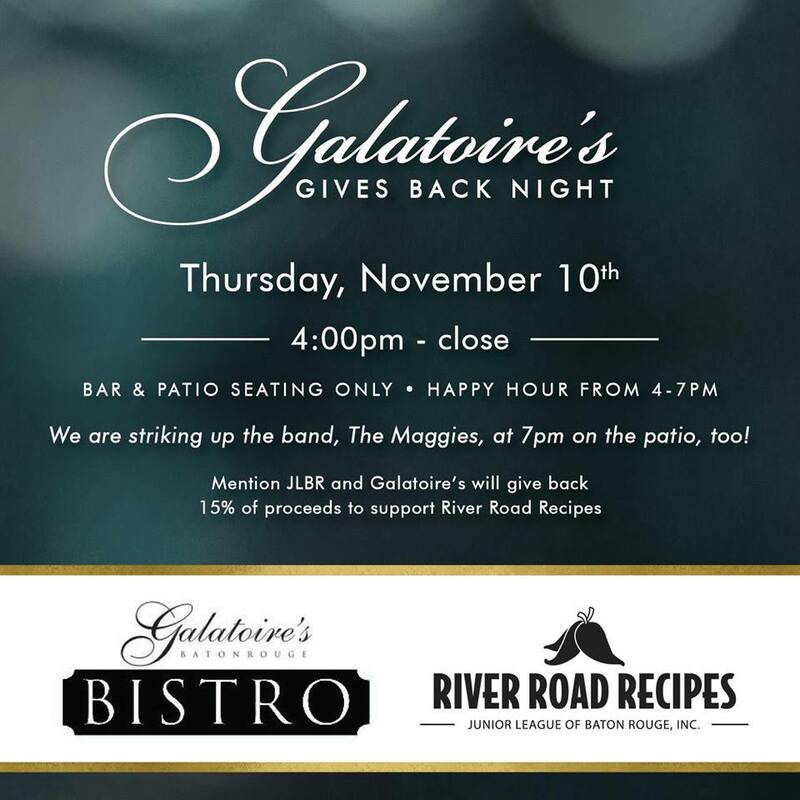 Members of the River Road Recipes cookbook committee will be on hand sharing cookbook knowledge, offering samples and of course, selling all 4 of our beloved books. We hope to see you Saturday! Be sure to stop by our booth and say hello. As our League members are no doubt aware, our first General Membership Meeting of 2017 is quickly approaching on February 7! Since we are celebrating the 85th birthday of the Junior League of Baton Rouge AND the 80th reprint of River Road Recipes I: A Textbook of Louisiana Cuisine this year, we thought we would throw it back to our September 2009 General Membership Meeting, when we celebrated the 50th birthday of River Road Recipes I: A Textbook of Louisiana Cuisine! 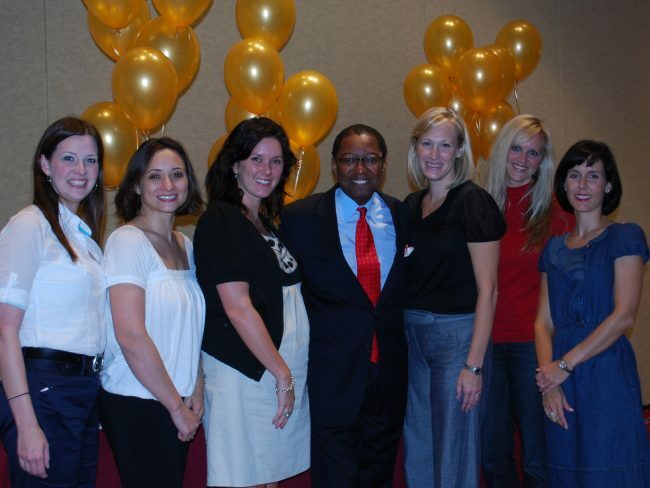 Junior League members with special guest speaker, former Baton Rouge Mayor Kip Holden. With over 1.4 million copies sold since the original edition was printed in September 1959, River Road Recipes I is the oldest community cookbook still in print in the United States. Junior League members showing off the special 50th Anniversary limited edition cover of River Road Recipes I. After so many decades of success, it’s hard to imagine that this historic cookbook almost never came to be. When the idea for a cookbook was first proposed by the original Junior League of Baton Rouge cookbook committee in 1957, the League’s financial advisors (incidentally, a group of men) strongly advised against it. “It was another generation, the men thought we couldn’t do anything,” Emily Robinson, chair of the the original cookbook committee, recalled in an interview with Country Roads Magazine in 2011. 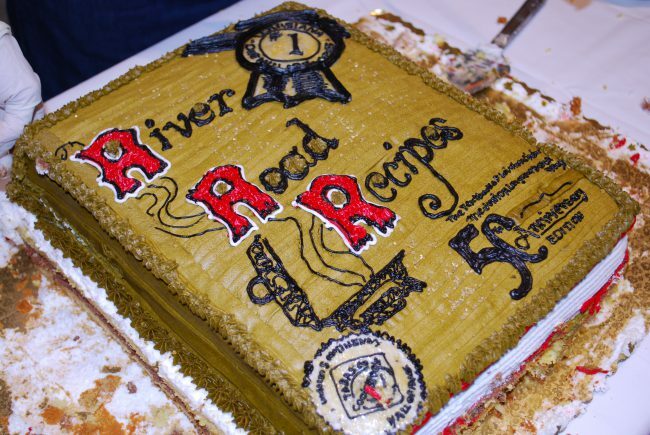 The River Road Recipes I 50th birthday cake! Make sure you log in to your member home page through Digital Cheetah to RSVP for next week’s meeting if you haven’t already. Can’t wait to see you there! Join us Saturday, December 3rd from 8:00am until noon at the Red Stick Farmer’s Market! Members of the River Road Recipes cookbook committee will be on hand sharing cookbook knowledge, offering samples and, of course, selling all 4 of our beloved books. The Red Stick Farmers Market is a wonderful way to grab a cookbook along with some fresh ingredients to whip up something special for dinner later that evening! We at River Road Recipes think that Fall is one of the best times of the year for family fun. Pumpkin carving, corn mazes, tailgates, trick-or-treating – we just can’t get enough! This year, instead of buying store bought candy for Halloween, start a new family tradition and make your own candy with River Road Recipes! Each one of our cookbooks has some great and unique options, from toffee, to pralines, to taffy and fudge, there is something for everyone. Not only will your house be the new “it” spot for Trick-or-Treating, you’ll make fun family memories, too. 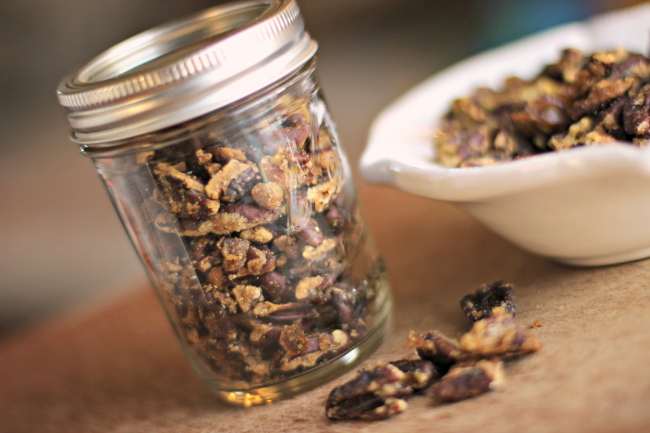 You can package your candy in cute mason jars, like these delicious Sugar and Spice Pecans fro RRR IV! Photo by Jessica McVea. Some great and easy options include Fool’s Toffee, Sugar and Spice Pecans, Chocolate Fudge Turtles, or our Old Fashioned Pecan Pralines. If you’re hosting a Halloween Party, our Caramel Apple Dip and Party Mix make great snacks that kids of all ages will enjoy. 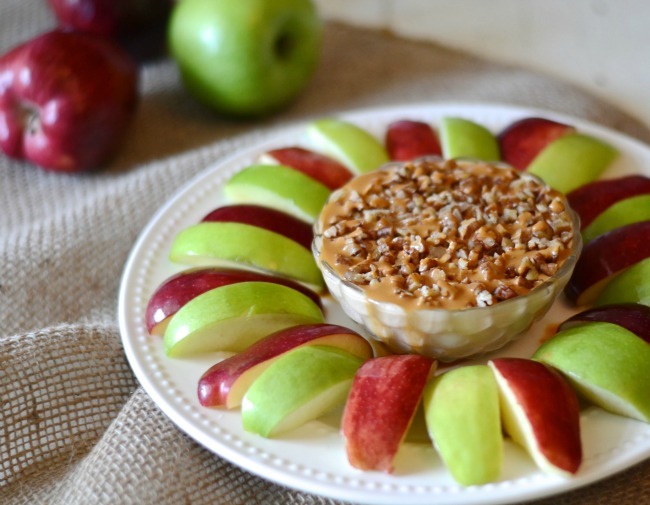 Caramel Apple Dip makes a great, Fall-feeling appetizer for any party. Photo by Aimee Broussard. Be sure to share your finished product with us by submitting photos here or tagging them #RiverRoadRecipes on Facebook, Instagram, or Twitter! Happy Halloween from all of us at River Road Recipes! The River Road Recipes Cookbook Committee will be on hand all week at the Baton Rouge River Center for Hollydays 2016 sharing cookbook knowledge, offering samples, presenting cooking demonstrations, and selling all four of our beloved books. Check out this year’s special events, information about vendors, and market hours here! We hope to see you there!